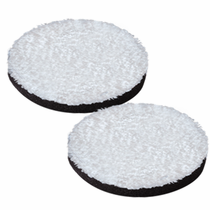 Meguiar's Dual Action 3” Microfiber Finishing Pad Disc is the perfect size to maneuver into small areas with your Meguiar's Professional DA MT300 Polisher or other Dual Action Polisher to refine a high gloss shine with Meguiar's DA Microfiber Finishing Wax, Meguiar's Ultra Polishing Wax or your favorite liquid wax or sealant. 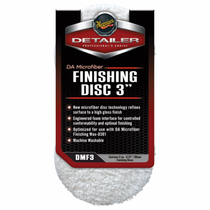 Meguiar's DA 3” Microfiber Finishing Pads are made of an advanced microfiber technology and engineered foam interface to contour to curves as well as flat surfaces for better efficiency, control to produce fantastic swirl free results. 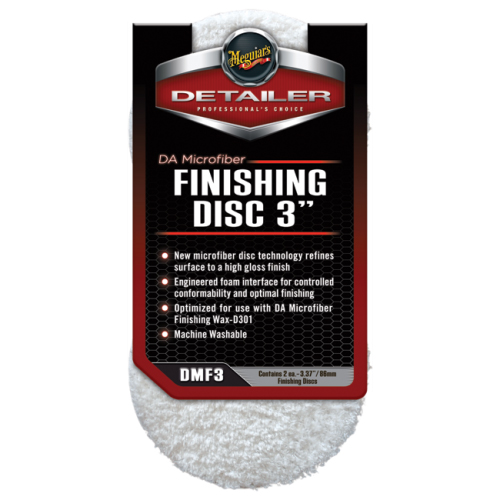 During Use: Clean Meguiar's DA 3” Microfiber Finishing Pads frequently during use with a nylon bristle pad cleaning brush. After Use: Machine or hand wash using a mild detergent and don't use fabric softener of any kind. Tumble dry on low or no heat and never use dryer sheets. 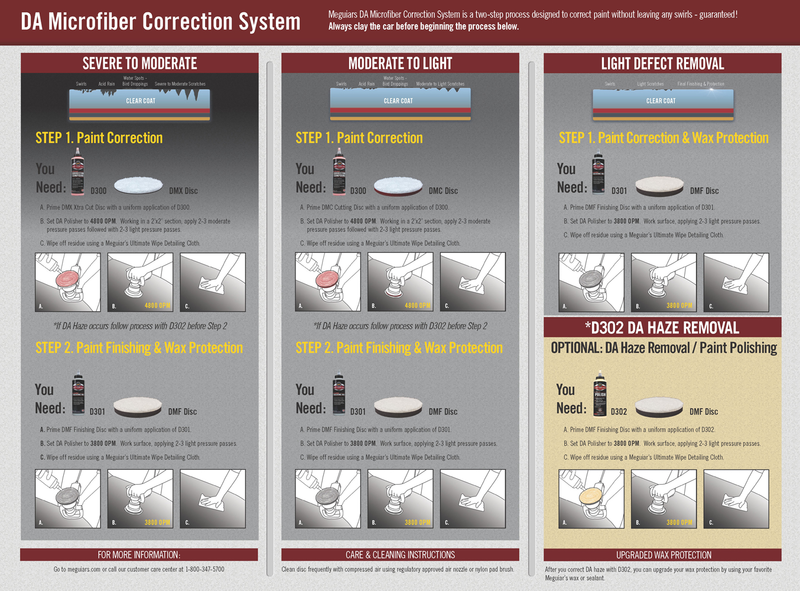 To prevent contamination store in a clean, dry location or in a storage container free of dust, dirt and debris.